Apollo has been serving the local boating community in south Florida from our store on State Road 84 since 1994 and was recently taken over by husband and wife team, John and Brandi Porter, who hope to continue this long standing tradition. 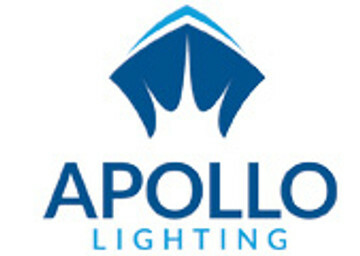 We have become the go to resource for Captains, crew and owners for all their lighting needs. We have thousands of marine specific lighting products from manufacturers from around the world. If we don't have something in stock we can get just about any lighting product through our extensive network. From small boats to mega-yachts to commercial fleets, we have every lighting choice from Interior and Exterior downlight, to engine room explosion proof area lighting, underwater lights, replacement LED bulb, strip lighting or spreader lighting to name just a few. In 2018 we started our Landscape lighting division offering homes and businesses in the local area one to one consultation based lighting design and installation. We sell wholesale, retail, and OEM. We're happy to answer any and all questions. If you would like to setup a trade account please call us on 954 375 0100 and we can start the process. Otherwise please fill out the form below for any and all enquiries and we'll get straight back to you.